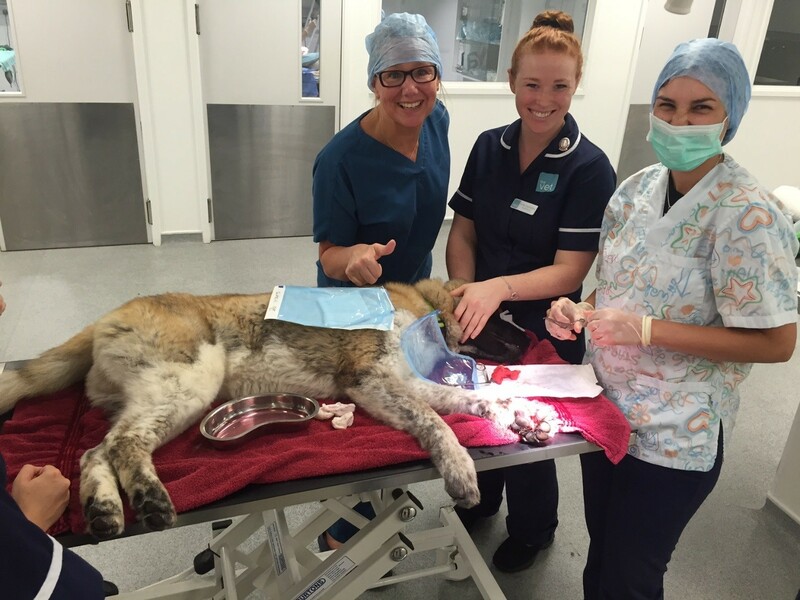 On the 8th September Zeus was brought in to The Vet Nottingham limping on his front left leg. Zeus’ owners said he was playing with a toy the day before, he jumped up and then suddenly screamed. On examination Zeus was not putting any weight on his front left leg, it was very inflamed and as soon as it was touched when being examined, poor Zeus yelped. Due to the amount of discomfort that he was in it was decided the fairest thing to do was to admit Zeus for a sedation and X-ray of his foot. They wanted to make sure nothing was broken or stuck in his pad. Zeus was admitted and sedated and 2 x-rays were taken of his left leg. 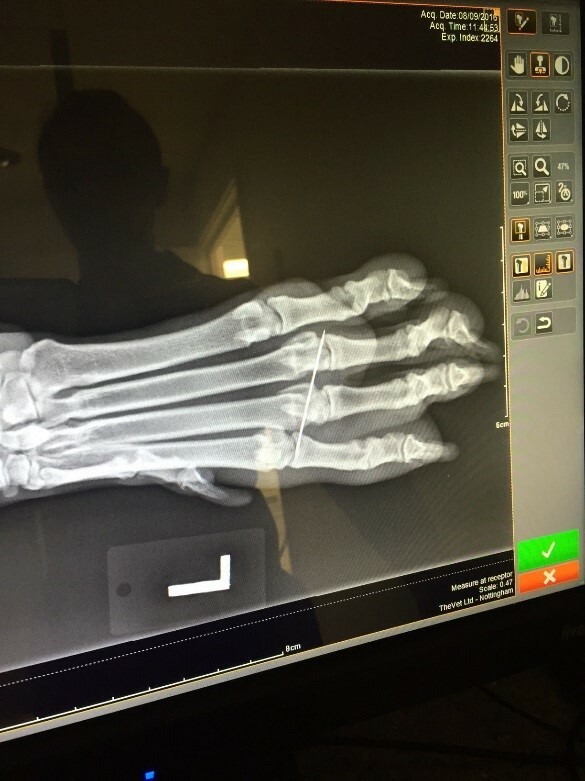 It was clear from the X-rays that a sewing needle had become stuck in the paw, this was what was causing Zeus so much discomfort. Zeus’s paw was shaved and cleaned and then a blade was used to make a small incision allowing the vet, Ines, to probe with forceps to find the metal needle. Once located Ines then worked the needle out of the incision. Zeus’s foot was cleaned with antibacterial wash and stitched up so his paw could heal. He was given antibiotics to protect against any infection and was able to go home that same day. At his post op check Zeus’ owners informed us he was bearing weight and was much happier. After 10 days Zeus had his stitches removed and was signed off with a clean bill of health.